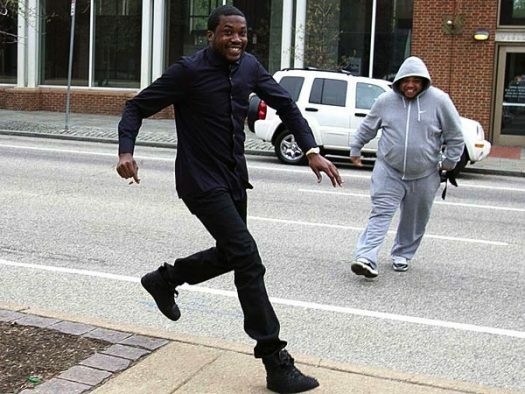 Meek Mill walked out of prison Tuesday after Pennsylvania’s highest court granted his bail request but the Philadelphia-born rapper had no intention of staying low. Mill immediately vowed via social media to use his spotlight to shine the light on how America’s criminal justice systems treat people of color. Mill was sentenced in November to two to four years in prison for violating probation on a roughly decade-old gun and drug case. But in March, this piece of evidence came to light when Philly District Attorney Larry Krasner admitted that Mill may have been unjustly convicted thanks to a cop who lied at his 2008 trial. Mill’s first stop as a free man was Game 5 of the NBA playoffs Tuesday night. He took a helicopter to a heliport near the arena, snuck in a haircut, and then rang the replica Liberty Bell before the Sixers faced off with the Miami Heat.